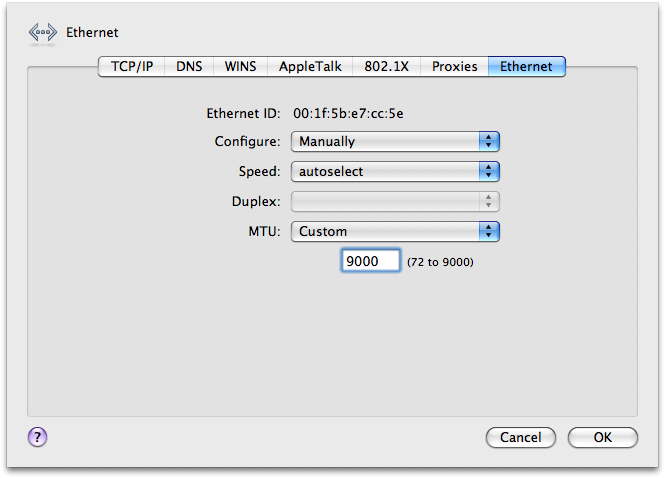 Mac OS X Ethernet usually supports jumbo frames. A jumbo frame is a frame with an MTU set (typically) to 9000 bytes. Using larger frames means that the network is optimised for throughput rather than latency. Set "Configure" to "Manually". Set "Speed" to "autoselect". Set "MTU" to "Custom" and enter in "9000". This number enables jumbo frames to be sent via this ethernet adaptor. I have found that this value does not always get saved correctly. Make sure at this point you apply the settings by clicking "OK" and then "Apply". 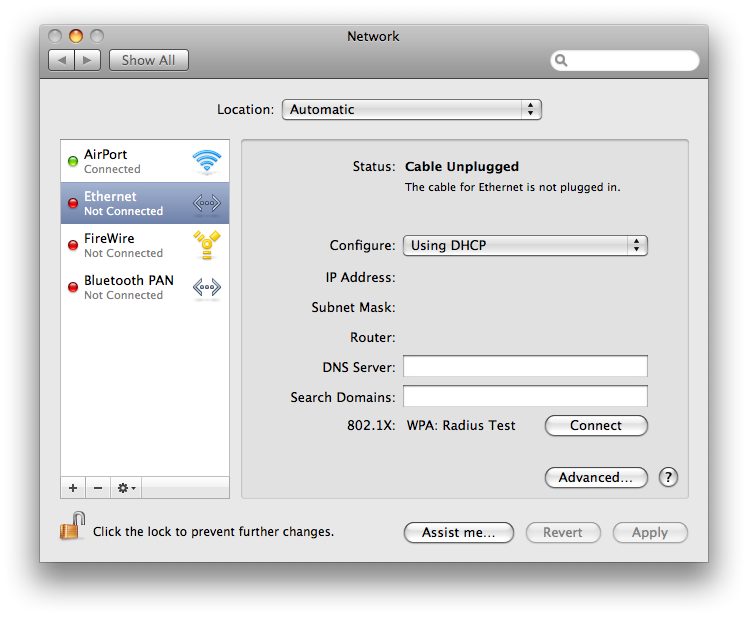 @Slava you are probably looking at the wireless (Wi-Fi) configuration. Typical wireless hardware doesn’t support Jumbo Frames at this time. Ok, but in the AirPort, (Wifi), doesn’t works…dont have options to set jumbo (9000)…if I m set manually the value 9000 the system don’t save the config…Is it possible to set jumbo 9000 in Wifi interface?